Imagine a cold winter morning when you need to take a bath before going to run errands or work. Now imagine your water heater not working and you get into your shower and open the hot water and you get blindsided by the cold water rushing onto your body. You have no idea how to go about the situation and know for a fact somethings wrong with your water heater but don’t know how to fix it. This is the time when you realize that knowing about home plumbing fixtures like your water heater, is important to know of.This can help you when you have an emergency and you need to take charge of the situation. Let us take a look at the different things you should know about your water heater. What type of water heater is it? 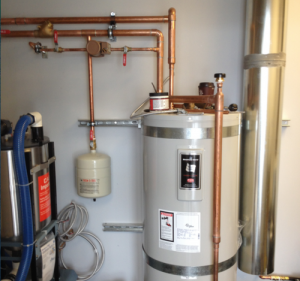 When you talk about water heaters, their can be a variety of them. It can either work in gas or on electricity. Gas water heaters are comparatively more expensive than electric water heaters. However, this can be a one-time investment as it costs less to operate it on a day to day basis. Gas heaters are not connected to any kind of electricity and hence work even when there is a power cut. They should generally be installed outside. Electric water heaters are convenient in the sense that they come with cheap rates. Electric heaters don’t need any vents and can work well indoors and also have faster services heating up water faster than gas water heaters. There are tank and tank less heaters. Heaters that have tanks can store water until it is required. It can heat up water when the need arises. These are economically inexpensive and can be fixed in different places. The water heaters that come without tanks don’t have any stored water. When it is switched on, you get water which goes over a coil and gets heated up. These kinds of heaters are helpful in saving a lot of energy and power. You need to know when your heater isn’t able to work anymore, and whether you need a repair or replacement. If your heater is not heating water properly anymore there can be numerous reasons as to why. It can be because it has become pretty old and the heating element doesn’t work well anymore. It can also be because the heater has eroded over the years and the parts aren’t working as well as they used to any more. If your heater is leaking: if you own a gas heater, you might find gas leaks at times. You should immediately look for an alternative option of repairing it or replacing it. If you get brown water: did you switch on your water heater just to get brown water out of it? This happens because of continuous erosion of the internal heater parts. This can be solved just by getting a new heater. Electrical appliances might not be a luxury, but they definitely a necessity. If you want your heater to be alright and working efficiently, be aware of how to handle it with care.